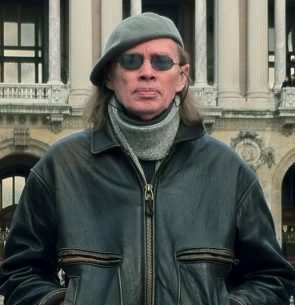 Rus Gant is a well-regarded international 3D artist, computer engineer and educator. Currently on the Research staff at Harvard University and the teaching faculty at Tokyo’s Showa Women’s University he is currently pursuing work in the future of real-time 3D computer graphics and virtual reality. He is currently the Lead Technical artist for the Giza 3D project at Harvard reconstructing the pyramids, temples and tombs on the Giza Plateau in Egypt in virtual reality. For more than 40 years he has applied his visualization skills to work in computer science, archaeology and museology for some of the world’s leading museums and universities. As a computer hardware and software engineer he has constantly been at the forefront of the science of computer visualization. As a Fellow at the MIT Center for Advanced Visual Studies and as a Fellow at the Center for Creative Inquiry at Carnegie Mellon University he has created and developed new techniques in 3D graphics, multi-media computing, virtual reality and digital archaeology. These techniques have often been applied to the reconstruction of the art and architecture of ancient cultures. As a teacher and lecturer he has often brought his wide-ranging expertise in the real world to the university classroom, museums and art galleries. At institutions like MIT, Carnegie Mellon, The School of the Art Institute of Chicago, The British Museum and now Tokyo’s Showa Women’s University he has both taught new technology, art and culture and used his technological expertise in advancing the craft of teaching.